Galaxy Tab 7 using dual core processors? Samsung continues popularize Galaxy line of tablets. Although already introduced the Galaxy Tab 10.1 and 8.9, it seems the original version of the Galaxy Tab 7-inch screen versions is not forgotten. Some media reported the news that Samsung is preparing the successor to the original Galaxy. 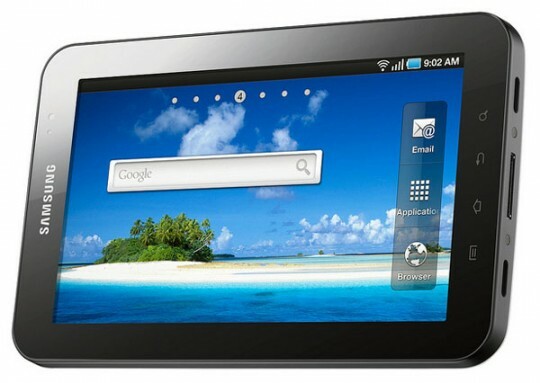 As quoted from UnwiredView, his name might be called the Galaxy Tab 7. Galaxy’s first version is often referred to as a larger version of the phone Galaxy S. Well, the new series also seems to have similarities to the Galaxy II in about the specification. According to the leak, the tablet has a 1.2 GHz dual core processor, 1 GB RAM, 2 GB ROM, and 16 GB of internal memory. If this is true, of course, can be regarded as a dramatic improvement over earlier versions of Galaxy. Renewal Galaxy, which reportedly was first released in the United States uses the Android OS Gingebread 2.3.4. There has not been any confirmation from Samsung on the report.